Already having become famous thanks to his great work with the legendary black metal outfit Emperor, Ihsahn (born as Vegard Sverre Tveitan) has since established himself as a very diverse and accomplished musician. Melding together different styles and never shying away from experimenting, his albums are often only for the broad-minded and patient listeners. Firing off the album with “Hiber” I am almost convinced that I’m listening to an Opeth song with screeching vocals, but then the song quickly dives into a frantic and haunting keyboard driven with a dramatic lead guitar taking us along to a dangerous chase sequence. This song wouldn’t be amiss on the soundtrack to a sci-fi thriller, although don’t let that scare you off. We get greeted again by Ihsahn’s vocals before we get a long crash ending in the middle of the song. Haunting keyboards show us a lonely place before the other instruments join in again for the aforementioned chase. Even if Ihsahn wasn’t singing, the music alone would tell quite an interesting and exciting story that you can fill in yourself. 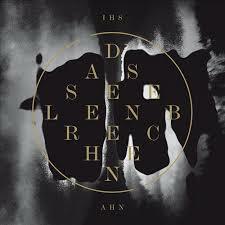 “Regen” starts off with a melancholic piano piece and when Ihsahn starts singing in his clear vocals you could almost fall asleep. But you will be in for a rude awakening when the other instruments kick in and the black metal vocals come back. With a lot of dramatic music the song slowly comes to a bombastic crescendo with the keyboards sweeping you along to be joined with a small choir. While I thought I was done with all the soundtrack orientation going on with some bands, these two songs have already shown me that it can still be very enjoyable when done right. “NaCl” gives us a more traditional song, with a very progressive metal oriented sound and Ihsahn’s clean vocals, pretty much as we had already heard in the past. It’s probably a good thing that this song already softens up the listening, because “Pulse” might be a bit too hard to swallow for the general metal listener. This song is of an electronic ballad, although the other instruments kick in later. Personally I like this side of his music a lot, as his clean vocals are perfect for it. After that we get reminded that Ihsahn used to be in a black metal band when “Tacit 2” starts off with shrieking vocals and a dark and heavy sound. Unfortunately this is when the album takes a turn for the worst, at least for me. The song almost feels like one giant crash ending and while there surely will be people that enjoy the drum arrangements; I am not one of them. Following this is “Tacit” which seems to start with an ending; massive drums rolls and dramatic keyboards with Ihsahn screaming his lungs out. After a short rest the music picks up speed and is actually reminiscent of the first track with its chasing soundtrack, this time shortly coupled with some nice brass to give it a bit more of a big band/jazzy mood. After that the song pretty much ends the same way it started, coming full circle. “Rec” sounds more like a small intermezzo song with poetic text, before changing into something that resembles some of the softer works that Devin Townsend has done. It would seem that all the fire from the start is gone, because “M” is a rather quiet song at first, with just some very slight soundscapes and spoken words before firing up a slow and stereotypical bluesy guitar solo. It’s too nice to call it a filler song, yet at the same time it’s too insubstantial to call it a fully fleshed out song. Just too drive home the idea that this album is actually two mini-albums stuck together we get served with “Sub After” and “See”, two more dreamy songs with the latter gaining more malice and freestyle drumming. What started out as a promising album slowly dies out like a night candle. I wish I could like this album more than I do, because there are a lot of nice things on there, especially at the first half. It’s a pity that the fire that was there seems almost non-existent by the end. If you are a big fan of Ihsahn’s solo work or if you like to keep a very open mind when it comes to music you will probably like this work. Personally I think it’s a shame how it really feels as if there are two collections of songs that have been put together. Perhaps that could have been avoided by changing the order of the songs. Still, I would say that the songs are worth it to listen to a few times to try and get the hang of them.